Review by AllTheBestFights.com: 2015-06-27, spectacular finish between Thiago Santos and Steve Bosse: it gets four stars (UFC Performance of the Night). Thiago Santos entered this fight with a professional mma record of 10-3-0 (70% finishing rate) and he is ranked as the No.49 middleweight in the world. He suffered his last defeat in 2014 when he faced Uriah Hall (=Hall vs Santos) but he came back to win in 2015 beating Andy Enz. His opponent, Steve Bosse, has a record of 10-1-0 (90% finishing rate) but he is not ranked as he hasn’t fought since May 11, 2013 when he beat Caleb Grummet; he makes his Ufc debut in this bout. 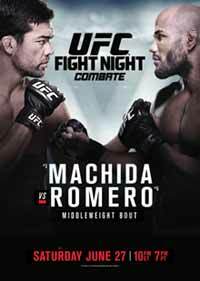 ‘Marreta’ Santos vs Bosse is on the undercard of Lyoto Machida vs Yoel Romero – UFC Fight Night 70. Watch the video and rate this fight!